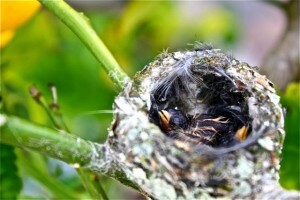 Two Baby Hummingbirds…Mother and Babies Doing Well!! Very cool! How did you get so close? 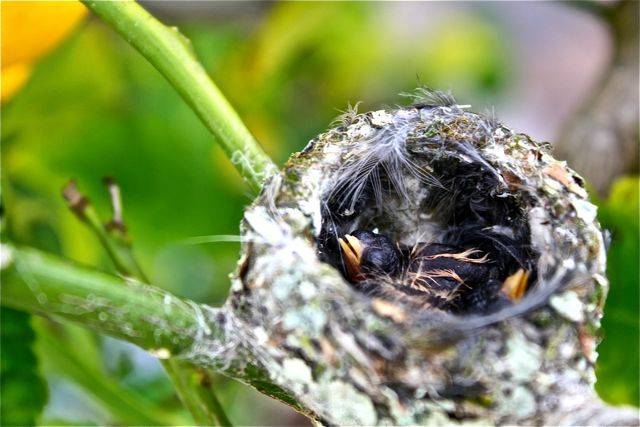 I could never see what my babies looked like, just their tiny beaks sticking out of the nest. Great photo! awh…..I can’t believe you are able to get so close for that shot!! OMG that is way too cool, how sweet is that, it is amazing how you can capture them so close up and wow, really heart warming to see. Thank you for sharing the precious moments. I love it. I’ve heard of special bird cameras you put outside to see bird action! Never thought about it before, but I so wish I had one of them right now!